Make-A-Wish Rope For Hope is an adrenaline-charged event that challenges you to abseil over the edge of 205 Queen Street, a high-rise building in Auckland's CBD. 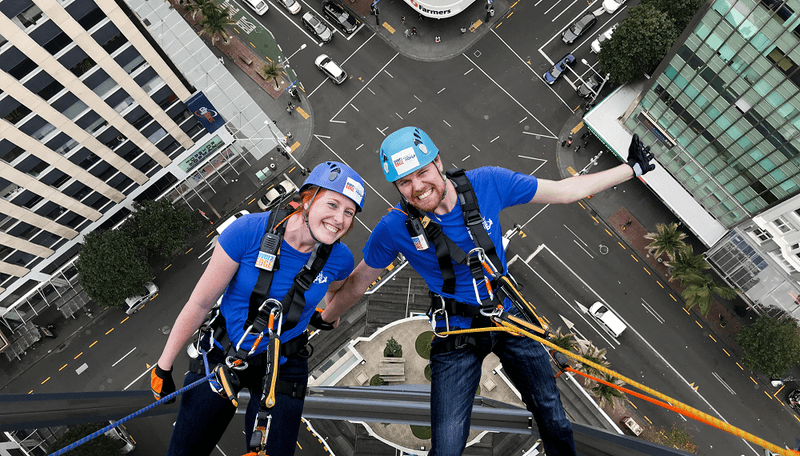 Situated on the iconic corner of Queen and Victoria Streets, participants will face their fears and abseil down 17- storeys with sweeping views of the Waitemata Harbour, the Hauraki Gulf and downtown Auckland on Friday November 16. As part of the challenge, we ask that participants raise at least $1500 for Make-A-Wish, to help grant the wishes of kiwi children battling with critical illnesses. To take part in this once in a lifetime experience, head on over to www.makeawish.org.nz/ropeforhope to register. You will be taken through to the Rope For Hope page where you will set up your online fundraising page to share with friends, family and networks. When you reach the minimum $1500 goal you'll be able to book your time slot to abseil down Tower 1 at 205 Queen Street on Friday 16 November! Places are limited so the sooner you register and get fundraising the quicker you'll be able to secure your place to abseil! At least one New Zealand family will sit in a doctor’s office today and be told their child has a critical illness. Their lives will change in an instant. Taking part in this event will help Make-A-Wish New Zealand grant life-changing wishes for these brave children which will bring them hope for their future and see their smiles and self-belief return.